The magic of the tropical forest in Iquitos! Program of 3, 4 or 5 days in this budget lodge. 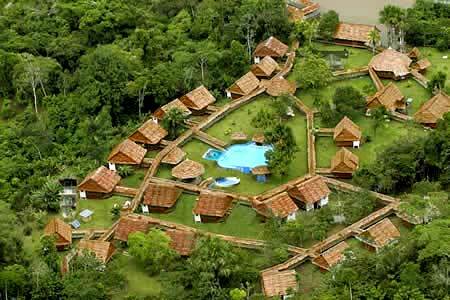 We are pleased to present to you our lovely lodge in the heart of the Peruvian jungle: The Amazon rainforest lodge, on the slow moving Momon river, which is a tributary of the Nanay river which leads into the mighty Amazon River. The journey from the port of the city of Iquitos to the lodge is just 45 minutes by boat. 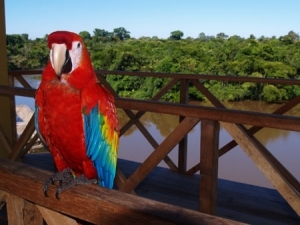 Come and join us for an unforgettable trip into the Amazon rainforest. Stay for a few days and nights and enjoy the feeling of being at one with nature with all the creature comforts. Our private English speaking guide accompanies each group. 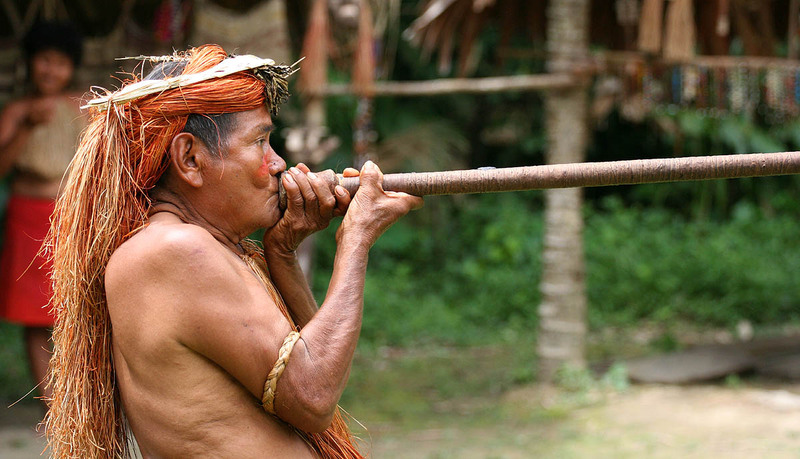 We visit three indigenous tribes in the area (Yaguas, Jibaros & Boras) and trek through the rainforest to observe the fauna and flora (please see our detailed list for all the activities). The lodge has 24 large bungalows with private bathrooms; all bungalows are interconnected by wooden covered walkways. 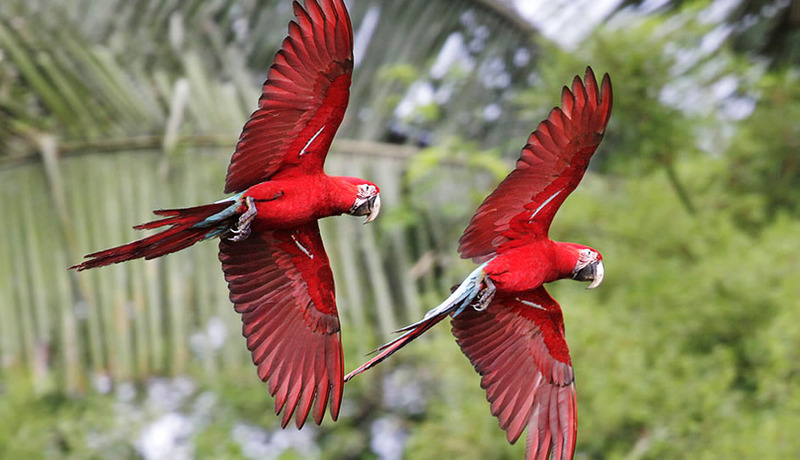 We have our own kitchen, restaurant, bar, large swimming pool, monkeys, parrots, macaws and other animals and two lookout towers with wonderful views. Our skilled chef prepares delicious local specialties from food grown in the area. We have our own speedboats and several canoes, and we also use Pamacari style wooden boats for larger groups. For transport inside the city of Iquitos we have our own bus and 4 x 4 Nissan vehicle. Our Guide will collect you from the airport or your hotel in our private bus. You will be accompanied by a permanent English speaking Guide during the whole trip. You will take the city tour of the principal attractions of Iquitos; the Main Square, the Catholic Cathedral, the cast Iron house built by Eiffel and the boulevar. We will board our speedboat for the trip up the Nanay and Momon rivers. We will visit the Serpentarium to see snakes and other exotic animals. Upon arrival at the Lodge we will be warmly greeted with a welcome drink made of local tropical fruits. Free Afternoon: we will enjoy the facilities at the lodge such as the large swimming pool, the water slide, the Jacuzzi as well as going to the top of our two towers to enjoy the view or relax on the balcony overlooking the Momon river to watch the boats sailing by and observe the birdlife. Our Guide fascinates us with tales of the jungle. Note: Please note that the City Tours may take place on the final day of the tour and not the first day depending on the flight arrival time of the client. (Optional) we rise at the crack of dawn, around 5:30 am, for an hour long canoe ride upriver to enjoy the great variety of bird life. We will hike through the jungle to explore the rainforest. We will visit the Jibaro Indigenous Tribe and also visit the small villages of Gen Gen and Centro Fuerte to learn their customs and habits. After we will visit the “Chullachaki” Mini- Zoo Visit and the Jardin Botanico. 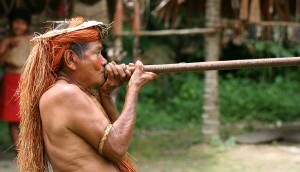 Our Guide will fascinate us with tales of the jungle. Take a hike to the Trapiche where you will taste delicious sugarcane liquor. After we will visit the Piranha Park to see five lakes containing piranhas and crocodiles. After we will have a musical jungle jam session using a variety of local acoustic instruments. and then make our way to the Pilpintuwasi Butterfly Farm. After we will head back to the city of Iquitos. On the way we will observe the meeting of the rivers Nanay and Momon. 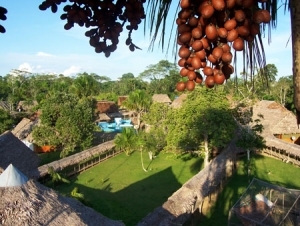 Once arriving to Iquitos we will take the city tour (if not done on the first day). 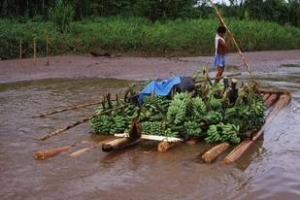 We will then visit the floating city of Belen, also known as the Venice of the Jungle. When you’re ready we will transfer you back to the airport. 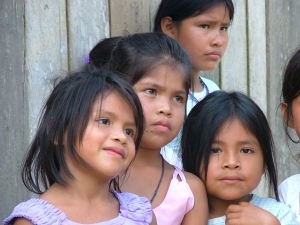 Children Less than 6 years are free of charge in the bungalows (when accompanied by parents). * Free transport from the hotel or airport in our private bus to the port of Bellavista on the Nanay River. * Boat ride in our own boat to the lodge. 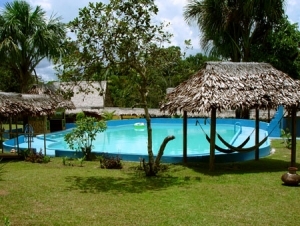 * Transport by boat to the Yahua and Bora Indian villages and to the Serpentarium and back to the port of Bellavista. * Transport by our own private bus back to the hotel or to the airport. * Three meals a day during the whole period that the tourist is inside the lodge: breakfast, lunch and dinner. If the tourist arrives mid-morning then lunch will be served, if he/she arrives mid-afternoon then dinner will be served. The same applies for the final day. * Bottled water from a water fountain next to the bar and swimming pool, fresh fruit juices during breakfast and lunch. * A permanent English speaking guide will be assigned to the tourists during their visit to the lodge and will stay with them until they leave. Guides are available in other languages upon request. * All tours mentioned in the program are included in the price. * Plane tickets, airport taxes. * Food and drinks in the city of Iquitos the first and last day. * All consumption at the bar, which includes bottled soft drinks and alcoholic beverages. * Tips to the lodge staff on the final day (for good service if the tourists are happy) and tips to the guide for his service (if the tourists are happy). *Any other personal costs not mentioned in this program. What to bring to the jungle ? * Good walking shoes that cover the heals (to avoid twisting your ankle). * Camera with plenty of film and batteries. * Flashlight/torch to use at nighttime (plus spare batteries). * Lightweight raincoat with rainproof hat. * Umbrella in case of rain. * Water flask (fresh drinking water for jungle treks). * Swimming costume (for swimming in our large pool or in the river). * (For couples) Bring protection (there are no pharmacies nearby!! ).